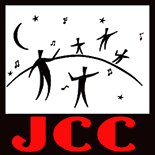 The Jamestown Community Chorus was founded in 1949 by Mrs. Rita Murray in conjunction with the Exchange of Topics and Crafts Club, a women’s group on the island. Since then over 400 people have sung with the chorus under four directors -Mrs. Murray, Virginia Tennant Eastman, Capt. Wilbur Holmes, and since 1989, B.J. Whitehouse. Janet Grant has been the accompanist since 1989. Joanne Loewenthal was a guest director during the fall of 2000. We celebrated our 60th anniversary in December 2009 with an eclectic program of all sorts of music from the last sixty years. We celebrated 50 years of singing in December 1999 with a gala set of performances. We staged a very special program that included chorus, a youth chorus and an Alumni Chorus made up from the 400+ singers that had sung with us throughout the years. Virginia Tennant Eastman was named Jamestown Community Chorus Director Emerita at the performance. The chorus is quite active and has participated in concerts, Christmas tree lightings, choral festivals, exchange concerts, talent shows, and sentimental journeys. Current director, B.J. Whitehouse has written a history of the chorus, which is available at the Jamestown Philomenian Library as well as the Adams Library at Rhode Island College. The volume at the Jamestown Library includes a collection of memorabilia donated by past and present members. The Chorus is secular, and is a federally-recognized not-for-profit (501(c)3) community organization that exists solely for the purpose of singing in and for the community and to encourage choral singing. The chorus supports a collection of choral music compact disks available at the Jamestown Philomenian Library. Also, the chorus has always been open to everyone – there are no auditions. There is a charge for music and a nominal membership fee. Anyone interested in joining the chorus is encouraged to do so. The chorus puts on a winter and spring show each year, in addition to appearances at various events. Preparation for the winter / holiday show starts in September, and rehearsals for the Spring show start in mid-January. Rehearsals are on Monday nights, from 7 until 9 PM at the Central Baptist Church at 99 Narragansett Avenue, Jamestown, RI.